I decided to raise a very interesting topic that, in most cases, is typical to novice authors, but sometimes peculiar to both advanced and world-known writers. Yes, today I’m going to talk about the passivity of the protagonist. That is the hero that has no will and acts at the behest of others. So why does this phenomenon take place in literary works, and how does it affect the success of the book? Finally, how to deal with it? mother’s death. At last he could breathe again on a beach lined with palm trees. The discovery of the body of an Indian dancing girl as he arrives shatters his expectations and he’s quick not to get involved. Nina, the wild young singer in a band provides romantic distractions. Dinesh and Frank befriend him and all is going well. Until his world is turned upside down when interrogated by Lakshya, the local Police Chief, a clever, well-educated man who’s strong on accusations. When other dancing girls go missing and another body is found, Rich is prime suspect. The heat is on and proving his innocence is not going to be easy – there’s only one thing for it: follow the trail through a tropical paradise of forests and beaches to find the truth. But can he trust those around him? Who can he count on when he goes on the run through the shadows of the underworld? The conflicts of death, a fiery romance and trying to chill become intertwined. Will he be able to stay alive long enough to expose the deceit and cover ups and enjoy this place of paradise? Guy Russell, author and prize winning poet. Judi Moore, author of Ice Cold Passion and other stories. “Pacy, poignant, page-turner that packs a punch"
New authors experience a lot of difficulties, and the very first of them is the inability to choose a topic. It may happen that you can’t come up with something really interesting and engaging even having a lot of knowledge in the field and a strong desire to create a masterpiece. At the same time, once you decide on the theme, the process goes on much faster. To boost your writing, I’ve collected a list of essential questions that may significantly advance the selection of a topic. #1 What is Your Favorite Kind of Books? The books chosen by you for reading are the first and the most obvious source for topics! There is nothing wrong to cover the same topic as you are reading now although many beginners are afraid of expressing the thoughts of others instead of their own. However, in non-fiction literature, it is practically impossible to say something new. Moreover, the reader does not buy the information about the problem – he buys your personal view on the issue and how to resolve it, wondering how you but no one else copes with the task. #2 What do You Know and How Can You Help Readers? Now it's time to organize your knowledge on the chosen topic. Let’s imagine you’re a professional in book promotion. You know how to write, publish and promote books on both native and foreign online and offline bookstores. Each of the subtopics can be a topic for a book! Set aside a detailed plan and start with two or three answers to the FAQ, so that the beginners can build their own model of writing and promotion while advanced writers take a fresh look at some of the things they have not paid enough attention to before. Turn off your inner critic and write what you know and how it can help your readers. Upload your knowledge on the paper and get rid of shyness and shame. Record, think, disclose every thought, and deploy it as a rosebud. It is August 1974. A respected teacher at a private girls’ school in rural Worcestershire, Adrian Carrick, physically attracted to one of the Sixth-Form leavers, discloses his feelings for her. Convinced that he has mishandled their final meeting, he writes her a letter of regret and then kills himself by leaping over the edge of a quarry. The coroner’s verdict is suicide while the balance of his mind is disturbed. Not all is as it appears, however, and Inspector Wickfield is called in to take a look. His investigation leads him to Venice, where Carrick seemingly led a double life as the owner of an art gallery which acted as a base for international crime, to St.Gallen and Bologna, to Hereford and Birmingham, to Pershore and the suburbs of Worcester, without significant success. A second murder adds increasing urgency to the case. Interleaved in the investigation are the members of Mr Carrick’s philosophy class, in particular the girl who had caught Carrick’s eye. The case is solved through two startling pieces of intuition, which confirm the inspector’s place at the top of his profession. In Mr Carrick is Laid to Rest, Julius Falconer has again provided the discerning public with a tightly-woven, deft and thought-provoking novel in the best traditions of British detective fiction. It will defy your efforts to put it down, and Inspector Wickfield will take his place in the pantheon of greats. Have you ever wondered why after watching a movie you are left with a residue of emotions? Some people experience a sense of peace, empowerment, exhilaration, fear or maybe a better understanding of how to deal with a personal issue. By juxtaposing Hollywood movies and biblical characters, the author connects the dots for the reader so that by using fundamental biblical principles they can steer through their own life challenges. What does Bruce Almighty have in common with the biblical Samson? What is Prophet Jonah doing in the Wizard of Oz instead of going down to Nineveh? Find out in this fun and feisty easy-to-read book and while you are at it - you will sense God speaking to you in encouraging, practical and at times convicting ways. D.C. Lassiter resides in the Pennsylvania area and is a student of God’s word. After being called from a life of modeling, she is heading to Lancaster Bible College to complete her Bachelor’s degree in Science & Biblical Studies with a minor in Communications. D.C. Lassiter is single and she worships at Blue Route Vineyard Community Church. She writes on her blog as well as various online magazines and counsels women struggling with separation or divorce. You can also find her engaging weekly with listeners on her radio show titled Dovetales. Through various guests revealing what the Holy Spirit has done in and for their lives, D.C. has an opportunity to encourage many towards a personal relationship with the Godhead which is for everyone: all nationalities, all races, all ages and all backgrounds. Ancient West African Women is a short, crisp book which systematically explains how women in ancient West African tribes migrated from the Nile Valley in Egypt westwards to an area south of the Sahara, which we now know as West Africa. The book also polemically explores the lasting impact of chattel slave trading, colonization, Christianization and Islamization on the standing of West African women. In this book we discover the shifting fortunes of women, as ancient African cultures encounter the encroaching world and these strong pillars of African society became TOPPLED CORNERSTONES! Born and brought up in Ghana West Africa. As a newly trained schoolteacher, she met the Danish medical doctor, Peder Christian Kjaerulff Knudsen, at Koforidua, Ghana, in 1955. They married and had three children. Later on they moved to Denmark to settle. Christiana Knudsen holds a Cand Phil degree in Social Anthropology from Aarhus University, Denmark and a PhD degree in Medical Anthropology from Derby University, UK. Christiana has carried out anthropological and ethnographic research and has published several books, including one on female circumcision in Ghana, The Falling Dawadawa Tree: Female Circumcision In Developing Ghana (1994), and on tribal markings in Ghana, The Patterned Skin: Ethnic Scarification In Developing Ghana (2000). In 2010 she published the controversial book The Theologian Slave Trader. Now a mother, a grandmother and a great grandmother, she continues to research and write about a variety of anthropological and ethnographic issues. 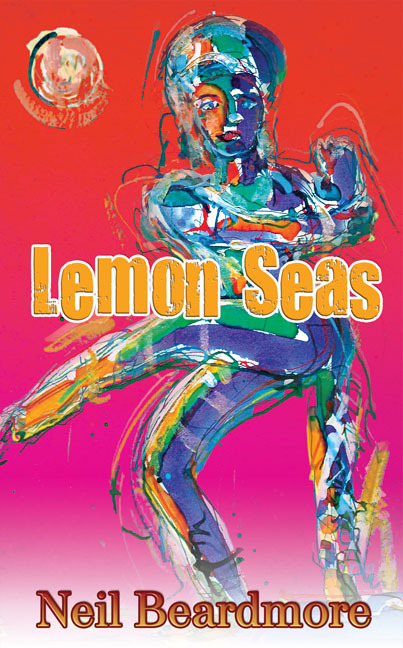 Replete with characters common to a host of murder mysteries, the novel presents the reader with a series of unmitigated cads, outrageous bullies, cowering wallflowers and the odd faceless servant to confuse the issue. In a plot which moves around with, at times, bewildering speed, the reader is left wondering which way to turn as the story moves down a series of blind alleys in the search for a killer and his or her motive. Inspector Thomas, much in the image of Agatha Christie’s Hercule Poirot, sifts expertly through a catalogue of evidence, hampered by the involvement of his son, but comes to the final conclusion with the boy’s help. 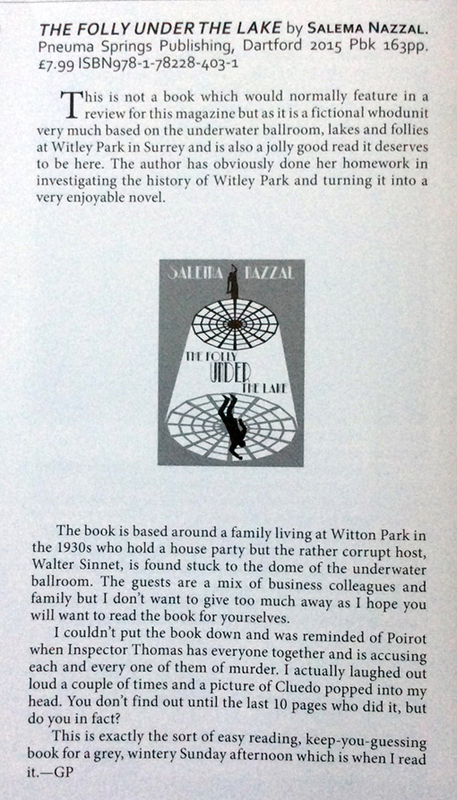 Salema Nazzal writes in a style easy to read, and wastes not a single word in drawing you in to her story. The settings and descriptive text are perfect for this style of crime novel, and in a surprise ending left me wondering what it was that I had missed. A 1930s jape with witticisms on the one hand, and spine chilling scenes on the other. Thoroughly enjoyable. I enjoyed this book. It kept your interest and was a quick read. 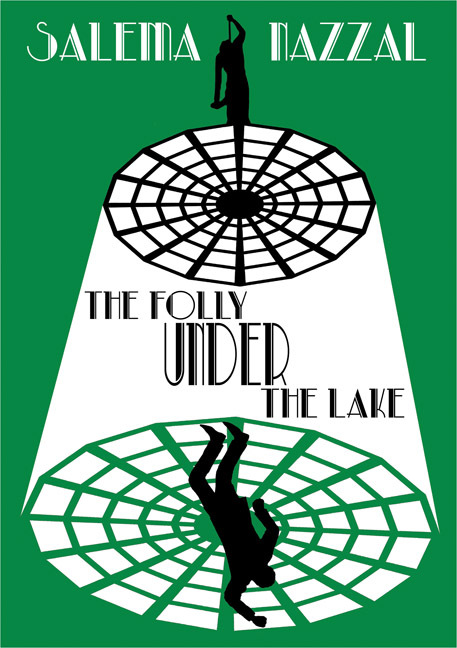 The rich owner of the estate ,Watler Sinnet ,where the Folly under the lake was built was a despicable person who treated everyone badly especially his wife Blanche, son Harry and daughter Rose. He threatened to disinherit his son because he wouldn't join him in his business. But the on didn't like his fathers business ethics so refused to join him. Walter had 3 lakes built on his estate with the Folly built under the lake. He invited a bunch of people to spend time at his estate to showoff the Folly. Well Walter ends up being murdered and the cast of characters spending the week there are all suspects in the murder as all of them have plenty of reason to want to see him dead. The Police Inspector interviews all the guests several times and its difficult coming to a conclusion as all seem to be guilty but in the end the crime is solved and the murderer was one of the guests. Well written "who done it". We encourage everybody to buy, borrow from the libraries, read, comment and vote for the authors/book. The public have until 15 May 2016 to vote. The 3 authors with the most votes in the category will become finalists and will compete again from 16 May 2016 to 12 July 2016 from the special Finalists Page. The winners will be announced at The People’s Book Prize 7th Award Ceremony on 12th July 2016 to be broadcast by SKY NEWS. Courtney and Jacquelyn Silberberg are the author of Fierce Thunder. We wish Courtney and Jacquelyn Silberberg the very best with this event. This book brilliantly applies the thoughts of the world’s greatest thinkers to the practical questions of modern day life, leadership, and work. The reader walks the fairway with Bud Graland as he is introduced to the likes of Socrates, Nietzsche, Freud, and Frankl. On each hole a new “Enlightened Dead” thinker is returned to the living and guides Bud through his quest to find meaning in everyday life and the world of work. Malloy & Lang engage and inspire deeper thinking in a manner as simple as taking a walk and as challenging as the game of golf. Who knows, it might even improve your game. 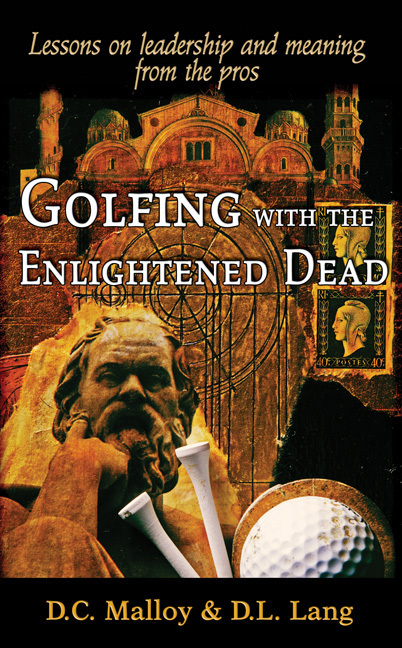 Books on philosophy abound as do books on leadership, and golf. The Enlightened Dead takes the bold step and combines these three worlds into a unique, thoughtful, and practical application of philosophy to leadership and meaningful work. This book provides the reader with an interesting and readable take on philosophy and what we do everyday - work. The writing of Aristotle, Nietzsche, and Frankl, to name a few, are interpreted by Malloy & Lang in lively discussion between shots. The Enlightened Dead is an important book for any 21st Century leader to read in order to better understand themselves and what they do. "This is truly a fascinating book... A remarkable achievement." "It's very accessible… we are introduced to the ideas of some of the great thinkers"
"…a practical guide to leadership. A great read for fans of golf, leadership and philosophy." "…this book offers meaningful insights … to help give you a “competitive and meaningful advantage” in today’s business world. There is something for every business person." "Play a round of golf ... learn the origin of foundational theories of organizational behaviour." Dr. David Cruise Malloy is currently the Vice President of Research and a Professor of Applied Philosophy in Kinesiology & Health Studies at the University of Regina in Canada. He is the Principal Investigator of the International Healthcare Ethics Research Team, and the Honorary Director of the Research Institute for Multiculturalism and Applied Philosophy at Hunan University in China. He is a Fellow of the American Philosophical Practitioners Association. Dr. Malloy is the author of five texts in applied philosophy and over 170 refereed journals and other scholarly publications and international conference presentations. His father was a decorated RCAF Spitfire fighter pilot in WWII and retired from the military to become a first rate golf professional. David plays golf infrequently and rather badly, though he holds out hope for his daughters. Dr. Donald Lyle Lang, Lieutenant-Commander (Ret'd) PhD, was with Canada's military for thirty-one years as an applied psychologist. Following that he was course instructor University of Victoria, Canada (leadership, management, organizational psychology, and research methods). His principal research areas: organizational commitment, values, ethics and a critical analysis of good and evil, as put forth in, 'Leadership: The Final Cause of Good and Evil' (co-authored with Professor David Cruise Malloy) (Wisdom House Publications, Leeds, 2006). His father did Atlantic convoy duties WWII and introduced him to golf, the single greatest educational program for anyone, anytime. Be moved! Be inspired! Be encouraged! Here is the true and honest story of a man who out of the blue fell victim to oesophageal cancer in mid-life and fought back. He takes the reader from his incomprehension at the moment of diagnosis, to his bewilderment, then acceptance, the battle and finally the all-clear. He does not spare us the disappointments, pain, loneliness and much more! "I could not put it down. I didn't expect a book about cancer to make me laugh out loud, but it did. The humour lightened the mood while still telling the story. The author has managed to find the right balance between conveying their personal experience/opinions while remaining non-judgemental. 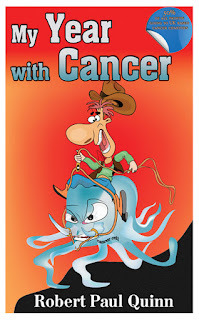 The author is very open and honest and takes you on his personal journey to beat cancer. 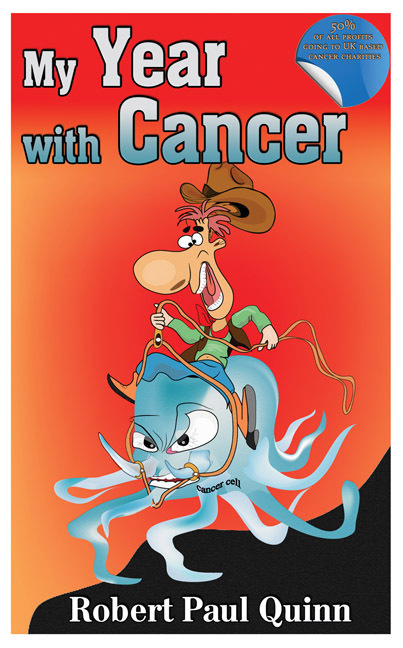 It provides an in-depth look at the good, bad and ugly side of cancer. There are some helpful and handy tips that some may find useful when trying to come to terms with fighting the disease. An excellent read with a dash of humour thrown in for good measure makes this an essential book for everyone who is either going through cancer treatment and/or friends/family who want to provide the right support for them." "A very powerful account of one man's journey through the complex NHS system after being diagnosed with cancer. Never losing his sense of humour throughout, you will find this book both fascinating and insightful. The author is very relatable which kept me hooked right from the start." "This book is a honest account of one man's journey from diagnosis and subsequent recovery from cancer. Don't be put off by the title, it's not all gloom and doom. I had thought it was going to be sad and serious but this is not the case. It's honest, funny and informative."